After getting stuck in that YouTube hole that I often find myself in, I found myself watching book reviews and this was one of them. I’m not really a sci-fi kinda gal when it comes to books, but everyone was raving about it and to be fair the cover pulled me in. As this book is obviously set in space, and it’s a very heavily character based book Angry Planet starts off slow, and quite a difficult to read. But I stuck it out and I ended up loving it. By slow I mean, I couldn’t keep up with all the characters and their species and what planets they were from. But as with any book, you do eventually remember who/what they are. From the title of the book, you know exactly what it’s about but the concept behind it, is brilliant. The characters are different religions, it has interspecies relationships and also LGBT characters. 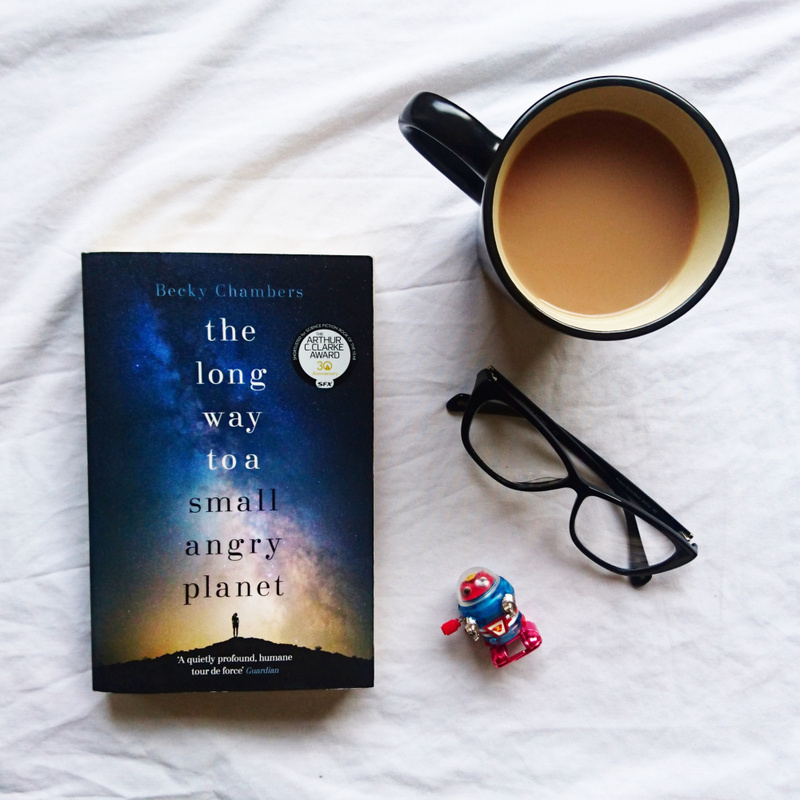 I know Becky Chambers has another book called A Closed and Common Orbit which on my ‘to read’ list so keep your eyes peeled. Has anyone read this book? Did you love it/hate it? Let me know! Click the affiliate link here to get The Long Way to a Small Angry Planet for just £4.50 and free PP! Globen Station which then a 20 minute metro journey to the centre of Stockholm. to the oldest restaurant in the entire world. anymore as most of them had an entry fee and only accepted cash. insane for a small fee and see the royal apartments and other bits. gosh it was even prettier at night with all the little restaurants and music. tours, but we didn’t find out until it was too late L.
Also check out my Stockholm Travel Diary.